Okay, up to recap number 71. Not sure I ever anticipated this going on as long as it has, but they say next season will be the final season? Would be cool to hit 100 if not. Not too much to share this week in terms of news, I have been very busy working to help support the passage of the First Step Act. Remember this is now two recaps for the price of one. Kathy’s take comes first and is followed by my traditional “5 things” breakdown. I hope you have been listening to my podcast Decarceration Nation, last week I had a discussion with Julian Adler co-author of the book “Start Here: A Road Map To Reducing Mass Incarceration” and Director of Policy and Research at the Center for Court Innovation. Next week I will be talking with an expert in e-carceration (electronic monitoring and surveillance). We are on iTunes, Google Play, Spotify, Stitcher, and Tune-In. You can also find every episode at DecarcerationNation.com. Also, as you probably know by now, I have been working to help pass the First Step Act. Yesterday, a really important letter - penned by Lisa Esterbrook, a Federal inmate in Florida, - was published supporting passage of this prison reform and sentencing reform legislation. I think it is really important to raise the voices of people inside and for her to even write this letter is VERY courageous. When I was first asked to contribute to this blog I was very reluctant primarily because I have never watched this show. I am a great fan of the book having read it multiple times during my incarceration. I found the book to be "spot on" in many ways while at the same time highlighting the hurdles a majority of women face during their incarceration. 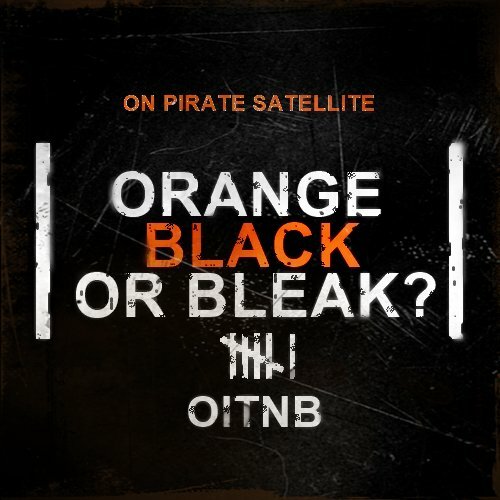 Based on what I had read and heard in the media about the Netflix series I felt that the writers of the show took "creative license" with what actually occurs in jails and prisons across the country, that they sensationalized events, characters etc to feed into the public's perception of what incarceration is really like for women and this goes against everything that I advocate for. The most recent episode which included scenes of the women seeing the gynecologist and children in foster care really touched on two serious topics women incarcerated in the US face today. The number of women who are the primary caretakers of their children and what happens to the children when their mother is arrested. Over 60% of women incarcerated in the United States today are mothers and the primary caretaker of their children under the age of 16. What happens to those children when their mom is arrested is heartbreaking. If a relative or close friend does not come forward offering to take care of the children they will end up in foster care as did the children in this episode. Fortunately these siblings were all able to stay together however that is not always the case and in a large majority of the cases the children are separated, in the case of the older children who are more difficult to place they will be put in a group home. Depending on the particular State law after a set period of time (NY is 14 to 15 months) these children in foster care will be permanently adopted and the mother will loose all rights. I have seen this happen too many times and it is heartbreaking. Too watch a young mother have to surrender all rights to her toddler is a very painful thing to watch. I have personally had to work through the reunification with my children and family and it is not an easy or smooth path. These are just 2 examples and that is from just one episode. Weekly I have seen male guards in the shower room with naked females THIS never happens. Solitary confinement or administrative segregation as portrayed in the show is not how it happens in real life. The "F" Unit or Florida is the most sedate mental health unit I have ever seen and I spent some of my time incarcerated in various mental health units. The shear incompetence of the administration is not realistic at all be it a government run or privately run facility. If this show stayed true to its original premise that would be one thing but it does not. Rather than a vehicle for criminal justice reform and raising the public's awareness of the realities of the issues women face on a daily basis when incarcerated it treats it as a parody, a sick joke. In its current format it does more harm than good and that is why I have decided to not watch the show any longer or contribute to the blog. Not for nothing but even the title of this week's blog is offensive and rather insulting to women. Just my thoughts. Not my favorite episode, not bad, not good, just kind of there. I feel like this episode really started to expose one of the biggest plot holes in this seasons writing. A few quick comments about what Kathy wrote. Every person who has done time has a right to their opinion about anyone else making entertainment out of their experiences. In particular, the perspective of women who have been incarcerated is often left out of the criminal justice reform discussion - even when the show is "about" women in prison. If you look below, I purposefully did not talk about the gynecologist because it is not my place to talk about it. I am glad Kathy said what she said, and I support her in whatever she does or does not choose to do. It will be sad to not have Kathy participating in the blog going forward, it has been a pleasure working with her. I will say that my whole approach has been to stand as a corrective to the show, not as an endorsement of the writers of the show (I am often very critical). My feeling is that if nobody writes about what is wrong with the show from a formerly incarcerated person's perspective, everyone will assume they get the details right. Millions upon millions of people watch this show, I am not willing to let the writers have the final say on the experiences that the show depicts. I do very much appreciate that the characters are treated as human beings, beyond that, I often get very frustrated with some of the caricatures of events. Anyway, thanks to Kathy for participating. Not sure why you would ever need a team of six to do laundry. Generally, laundry workers work in shifts and usually only one or two at a time. I get that one of the things that they are trying to get across this season is that CO’s play inmates off of each other in order to keep them from uniting against CO’s, the prison, or the prison system. But, even if that were true - and I believe that is only true with particular CO’s and not across prisons - it is clearly in no CO’s interest to have whole wings of prisons at war with other wings of the prison. Let me put it like this, if you wanted to stay safe - locked in with a bunch of people - would you rather a few people were fighting each other...or literally EVERYONE fighting. Yeah, nobody wants a full-on war in prisons, especially not the CO’s. Yes, these CO’s are no geniuses, but that is just another reason why it is unlikely they would be capable of planning and carrying out anything that large or complex. Let me try to explain this a different way. If the CO’s were explicitly responding to the organized prisoner violence of the riot (organized violence that made the CO’s into targets), why would they want to foment more mass violence? Playing specific inmates off each other is one thing, I have seen CO’s do that, but allowing unit vs. unit violence to spread? It just doesn’t make much sense. Oh, one other thing, the prison administration would be mad at the CO’s, who would be in proximity and supervising the laundry, because as a result of the poo incident they would have to replace an entire units uniforms. The vast majority of inmates I know were germaphobic to an absurd and even irrational degree. Asking inmates to wear uniforms that had been soiled by someone else’s waste would likely spark another mass reaction. In fact, one of the few things every inmate pays for in prison is to have their own laundry done to exacting standards by one of the inmates working in the laundry room (there is a baseline level of laundry care you get without paying but for extra you can ensure your laundry is done right etc.). When I was in solitary, for a short time in jail, I taught myself to recite the alphabet backward, counted marks on the wall, and tried to reconstruct event in my life from memory. In short, I would have loved to have a spider to watch. I am not sure about Federal prison, but at State prisons, most people have a personal television set and a cable hookup and during most lockdowns, you either read or watch TV. I am not saying that on a psych or medically frail block you wouldn’t find someone who watches spiders climb the wall but I am saying that the vast majority of folks would have something to read or something to watch. Both Kathy and I have noted that there really are inmate fight clubs run by Correctional Officers, so it is not impossible that “fantasy inmate” could be a thing but I do sometimes wonder at the internal logic of this game. If the game is a reaction to the riot, and creating mass violence is dangerous to the CO’s, why in the world would they incentivize any kind of mass violence? In my experience, and I am sure others had different experiences, there were bad CO’s who would try to pit inmates against each other for fun...but, the vast majority of CO’s did not want - at any level - organized violence that could explode into prison-wide violence (as the MOST likely way for them to get hurt or even killed was if prison-wide violence broke out). Again, I totally get that the writers want to make the argument that CO’s keep the inmates fighting each other so that they don’t organize against the CO’s...but in this case, they are doing things that would make it much more likely that the prisoners would break into spontaneous and organized violence. CO’s hater organized violence. The use of this rhetoric pretty much says all you need to know about Luschek. He is utterly amoral and cynical and all in the service of maintaining his baby-man lifestyle. Even when he cares about someone - and did something wrong himself - he will always abandon them to maintain his own comfort (remember what he did to Nicky for instance). Somewhere between Luschek and Caputo lies the real truth of bureaucratic indifference to the suffering in prisons. Whatever you think of the riot, there are thousands of examples of inmates having to take the fall for events inside prisons all the time. In previous recaps, I have linked articles about false testimony, false prosecutions, bad representation, and immoral plea bargaining tactics. So while this particular example of Tasha “Taystee” Jefferson being fit for the frame-up seems a bit contrived. Yes, she absolutely was the face of the riot so it makes total sense that she would have to plead guilty to her part in organizing the riot...that part makes TOTAL sense. What doesn’t make sense is the defense attorneys - even the public defender's line of defense. Does anyone remember even ONE INSTANCE of ONE ATTORNEY in ANY moment of this season mentioning mitigation? Remember when Piscatella ritually kidnapped and abused inmates On A LIVE and broadcast feed? Does anyone remember the other charges in Piscatella’s jacket (you know, the whole reason he was available to move to the Litchfield camp in the first place)? The courtroom is full of people supporting Taystee because she is a person of color (and I approve of this), but where are the people protesting prosecuting people for being prosecuted for fighting back against a brutal abuser? Piscatella’s abuse is not alleged, it was broadcast to the world live. One of my biggest gripes about the OITNB writers room is that it decides on a storyline and then erases all traces of previous information that complicates their pursuit of that storyline. We are not idiots. Especially in an era of #MeToo, NOBODY would be silent about, for instance, charging Red for attacking a Correctional Officer who, instead of protecting her, SCALPED HER on a live feed. I am not saying that there would be no charges or ultimate consequences, but it is TOTAL BS that even a public defender would act like they were totally helpless in the face of these charges or that all the blowback from what happened PRIOR to the riot would not be part of the case. In fact, there would be a HUGE incentive for MCC to try to quash the case because the defense would insist on deposing and calling MULTIPLE MCC employees and inmates to testify to what happened before the riot and during the riot. EVERY SINGLE GIRL who was in the room with Piscatella during that assault would be called to testify. The lack of fight from Taystee’s legal representation during this season is one of the most absurd and unrealistic elements in the entire history of the show. I am not sure why nobody else has been writing about this, but it is PATENTLY ABSURD. Taystee might get some additional time, but even a bad attorney would have produced a very robust defense...a defense the Federal Government and MCC would have EVERY incentive to quash. Rather than have the history of the institution and every employee put on trial, they would have let most of this die immediately or with only perfunctory additional charges. The ONLY exception would be Daya, but even in her case, her attorneys would insist on putting MCC and the Federal Bureau of Prisons on trial, because that is what any attorney would do in this situation.